Virgin Atlantic has apologised to holidaymakers after their luggage was flown thousands of miles back to London from Barbados. Flight V2029 arrived on the island on Sunday, but airline staff decided to fly the jumbo jet back to Gatwick after they were unable to open the rear door to the hold. Of the 288 passengers on the flight, around 200 were left without luggage until the bags were eventually flown back to the island the following evening. The unusual incident highlights the importance of travel insurance to provide cover in the event of any unexpected holiday mishaps. Former cricketer Toby Radford, who was on board the plane, told the Daily Mail: "It had already been a bumpy flight so we were all glad to land but when we got into the baggage reclaim area, it was crazy. "It was left to local admin staff to explain the situation. There were some children on board. Some passengers were boarding cruise ships and worried about not receiving their luggage in time." 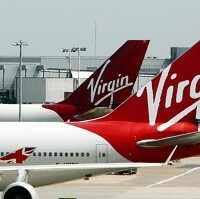 In a statement, Virgin said it was sorry for the inconvenience caused. The airline insisted that every effort had been made to open the hold door when the plane landed in Barbados.